To all of my loyal and kind Remix customers, supporters, associates and new friends, I am re-entering the vintage world that I loved after several years of absence. With a sudden and acute relapse of MS in December of 2009, I was forced to close my business. I told a friend after the incident that it took me to be totally bedridden to close my shop. And that is pretty much what happened. After a long recuperation and recovery and deep heartfelt reflection, I am recreating my self. And part of that re-creation is honoring my love for vintage culture. Those whom I had the privilege to meet through the Remix experience, know that I believe the desire to own, wear and repurpose vintage clothing is more than a style choice. It is a lifestyle choice. I hope to gather the enthusiasm toward blissful creativity and camaraderie in a way that honors each other, our past, our beauty and our spirit. I hope that our friendship will continue and we can continue to grow in all ways good. 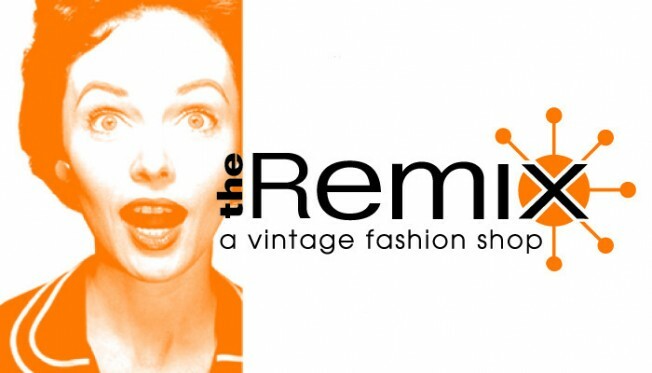 The Remix Vintage Fashion Online will be launched with some remaining favorites and with some new finds. I look forward to meeting up with all of you again.